CSI Portsmouth is an event for all crime fiction lovers (and fans of CSI shows). It’s organised by author Pauline Rowson with Portsmouth City Council Library Service and Hayling Island Bookshop. 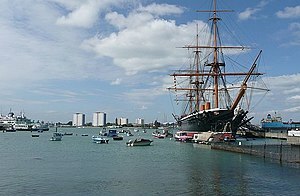 This year it takes place on Saturday 2nd November at The National Museum of the Royal Navy in the Historic Dockyard, Portsmouth. Featuring crime authors along with police and forensic experts on a morning and an afternoon panel, attendees get to hear how writers go about writing their crime novels and police/forensic experts do their jobs. There’ll be the chance to ask the panel questions, and a book signing. In addition, the Crime Readers Association is running at competition to win two tickets to the CSI Portsmouth 2013 event. All you need to do is answer a question (there’s even a helpful hint on their webpage) and you’re in with a chance, but hurry – entries close on the 14th July.